Although river cruising may be less well-known than ocean cruising, it's becoming more popular every year. And for good reason. 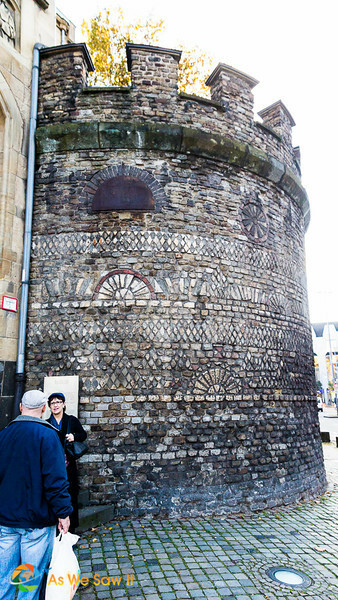 We have vacationed on Europe's waterways twice, and we have really enjoyed it. In case you haven't considered it as an option for your next holiday (or you need some ammunition convincing someone to join you), we have come up with 24 reasons to take a river cruise, in no particular order. 1. It’s an excellent value. The cruise fare offers great vacation value because almost everything is included in the price. Yes, unlike ocean cruises even a tour of each port is included (read more about that below). Ships also provide free in-room wi-fi and offer free wine, beer and soft drinks with lunch and dinner. Top shelf alcohol. Some cruise lines include an open bar (that's what I'd expect with higher fares) while others offer a drinks package instead. Tips for staff. Viking suggests a (per guest, per day) gratuity of €2 Euro for your Program Director and €12 (Euro) which will be shared among the other staff on board. Our experience: We chose to splurge on the all-inclusive premium beverage package even though we really don't drink a lot of hard alcohol. We do enjoy good wines though, and it was nice to share a bottle of the local one without having to worry about the final bill. To us, it was “no-sticker-shock insurance.” As to the gratuity, considering the incredibly attentive service, they certainly more than earned it and we were happy to pay. 2. River cruising is an easy way to see a region. Cruise companies have carefully planned their itineraries, with a wonderful mixture of scenery, big city life, and picturesque villages. You’ll see the best of a region, including UNESCO World Heritage sites. They’ve done all the research and you’ll reap the rewards. River cruise itineraries include lots of time in port. None of your waking hours are wasted in train travel or changing hotels. You only need to unpack at the beginning of your trip and pack when you leave. You wake up in a new port every day because—with the exception of some particularly scenic areas or visiting two sites in one day—the ship moves to its next destination while you sleep. Our experience: No ocean cruise will let you tick off inland “bucket list” places like Nuremberg, Paris, Vienna, and Budapest. No road trip will get you to as many World Heritage sites in a week without exhaustion. 3. You can forget about the logistics. If you’re the type who stresses about the details and returns home wondering if you’ve seen all the highlights, relax. All the details are taken care of, from the well thought out itinerary to transportation, lodging and food. Our experience: We loved not having to think about anything but having fun. 4. The ships are luxurious. Forget what you have heard: Newer vessels are a million miles away from the cramped, older ships of yesteryear, and they are new and updated. Today's cruise ship is a floating, upscale, modern hotel. Even though river limitations mean they have to be smaller, the newest ships on the river still have a serious “wow factor.” Public areas have incredible contemporary decor, lots of glass, plenty of light. Some lines offer spas, fitness rooms, and al fresco dining options. One line even has a swimming pool that transforms into a cinema in the evening! These days, comfortable lounges, balconies and open decks provide an array of opportunities to hang out and relax in the sun or shade. There are computers for people who don’t want to bring along their electronics and libraries that offer a quiet spot to sit with a book or work a jigsaw puzzle. Sun decks can include pools, hot tubs, putting greens, chaise lounges, herb gardens, shuffleboard and oversize lawn chess. In the staterooms—you can even book a 2-room suite—expect refrigerators, hotel-style beds and marble baths with heated floors and l’Occitane toiletries. When you book your cruise you’ll quickly discover that there is no such thing as an interior room. Every cabin has a view of the river and most have balconies or sliding doors that open. The staterooms rival any hotel with their fluffy linens and flat-screen TVs, but here your in-room wi-fi is free. Our experience: You get better wi-fi while everyone else is ashore. 5. River ships are intimate. Ships that travel on the rivers have to be limited in size because they need to go through locks and under low bridges. What this means is that even the largest of river vessels can carry no more than about 200 passengers. Not only does this mean that the staff will get to know you, you have a chance to get to know the staff, many of whom are from the countries you’ll be visiting. What a great way to get to know a local! It also offers a fabulous opportunity to get to know your fellow passengers—both on the sun deck, in the lounge, and at meals. 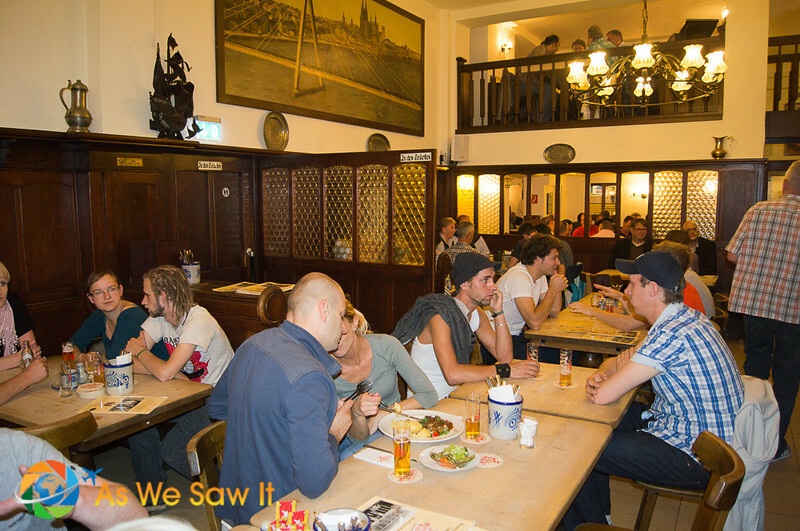 Our experience: We still keep in touch with a couple of people we met when we were on our 2011 Rhine River cruise. 6. River cruising is casual. No reserved tables on this cruise: When it comes to dining there is just one seating, and it’s open seating. River cruising is casual dress at all times as well, so forget the long dress and tux. Leave your heels and ties at home. Our experience: It's nice not having formal nights. We brought along some slightly dressier clothes anyway (e.g., skirt, button-down shirt and a tie). 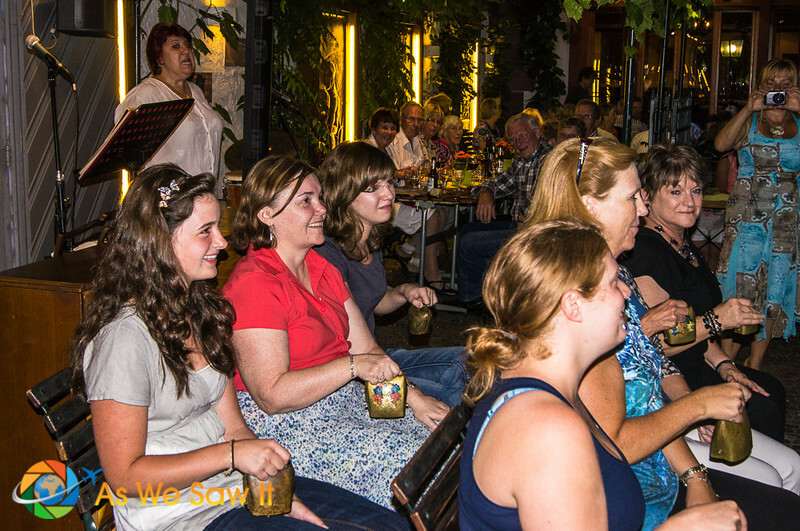 We thought we would feel more comfortable at the Captain's Dinner and the evening concert in Vienna. 7. You'll never get seasick. If you’re looking for smooth sailing, this is it; it doesn’t get any smoother than this. River currents are easy and—with the possible exception of a passing speedboat—practically wave-free. Our experience: You know all those tips for avoiding seasickness while cruising? I didn't need them. 8. You'll never have to worry about sinking in open waters. Rivers are only a few meters deep—sometimes only a few feet—so even in the unlikely event the ship were to sink you could just bring a book to the top deck and wait for help. Oh—and you will never even think about sharks. Our experience: I don’t know about you, but I think that there’s something very reassuring about always being able to see the shore. 9. You always have a view. You wake up to a view of the river every morning. Later you can sit under a canopy on the open deck—or on some ships soak in a hot tub or pool—and choose to do little more than enjoy amazing river views. Depending on where you cruise you might see castles, farms, kids swimming, fishermen, or maybe a water buffalo or crocodile. 10. You’ll never get bored while on board. Ships may calmly sail the waters with nary a ripple, but the rest of the experience is action-packed. You will receive a cruise newsletter at turn-down listing the schedule for the next day’s activities, lectures, shore excursions, meals, and any planned on-board games and activities. If you need some alone time to relax in your stateroom, look no further than your flat-screen TV. It offers a variety of movies, documentaries, news channels (in English), and itinerary-specific programs. Our experience: Who has time for TV? 11. Even the daytime cruising is fun. Your ship will usually cruise at night to maximize your time in port. 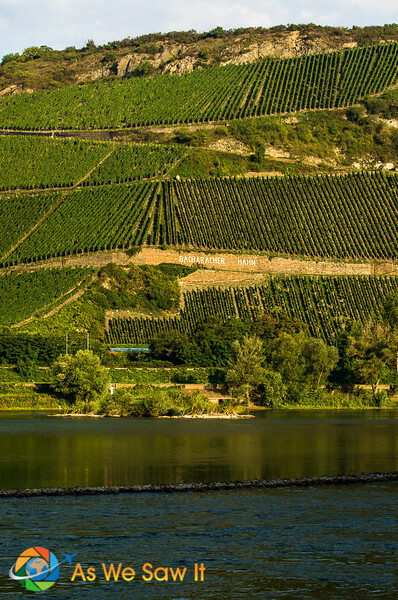 All that changes when there are particularly beautiful stretches like the Rhine River Gorge or the Danube's Wachau Valley. In these areas, cruise lines make it a point to move during daylight hours. Not only is the scenery fantastic, sitting on the outdoor deck of your “floating hotel” is wonderfully relaxing. Our experience: Our Rhine cruise featured a fabulous themed picnic meal out on the sun deck—complete with beer, burgers, brats and sweet treats … and our scenic noshing was accompanied by German music as we cruised to our next destination. 12. Entertainment is culturally relevant (and free). Mega-ships on the big blue sea have things like kids’ clubs and glitzy Las Vegas-style revues. Don’t expect that on a river boat, where they focus less on idle time activities and more on the itinerary. What this means is that almost all experiences will be inspired by the port you are visiting. Your Cruise Director will usually offer a lecture about the upcoming port, and sometimes you’ll even have an opportunity to take a brief language class from a crew member. Occasionally, depending on the night and the port, cruises might bring a folkloric dance troupe aboard or remain moored later so passengers can attend a performance, perhaps a ballet, opera or organ concert. And then there's the time we had dinner ashore in Rudesheim. Yeah, that's me. They drafted me into playing Edelweiss on a cowbell. It was fun. They do switch things up to keep things interesting, though. Some evenings the entertainment is nothing more than a bit of relaxing background music from the ship’s on-board musician. Our experience: Having been accustomed to a cavernous auditorium on our previous ocean cruise, we liked this alternative too: enjoying culturally relevant entertainment along with a few of our shipmates in the ship’s intimate lounge. On one occasion we sampled Dutch cheeses and jenever (a local spirit), then joined in a competition as everyone tried their hand at Sjoelbak (Dutch table shuffleboard). On another we had a lesson in how to make Rüdesheimer coffee. I can't recall any of the shows we saw on the ocean liners but I do remember these. 13. You get more unforgettable experiences and memories. On our 7-day Rhine River cruise, we were able to sample Swiss chocolate in Basel, enjoy photographing the intensely castle-laden Middle Rhine, explore quaint Alsatian villages like Colmar, see Cologne’s famous Gothic cathedral and enjoy the canals in Amsterdam. Not to mention sample Dutch jenever with new found friends. 14. Your ship ties up in the middle of town. Instead of those long walks to a shuttle, your riverboat will often tie up right in town. This means you will have only a short walk or quick bus ride into the heart of the city. Even when the berths are already all occupied and your ship has to tie up to another ship, it's only a short hop and jaunt through the other vessel's lobby or sun deck to get to shore. Being so close to the action means you have more time in port. It also makes it easy to feel like you’re taking part in a town’s day-to day life. You will be in the local culture as soon as you step off the ship. You'll be able to mingle with locals in a sidewalk café within sight of your ship, shop until you drop and return for lunch on board or an afternoon nap. It's nice to lose yourself in the markets, or explore museums, monuments and other must-see attractions on your own schedule. 15. Most tours are included. Every port includes a shore tour, from a traditional walk around a town to a bus trip to a local attraction (on the Rhine we took a bus through the Black Forest to an ancient monastery, then visited a cuckoo clock workshop and gobbled/got the recipe for Black Forest cake). On our cruise, Viking also offered 4 optional excursions for people with special interests. I'm sure the non-drinking passengers were happy that an evening experiencing Cologne's brauhaus culture wasn't included in the price of the cruise. We, on the other hand, were happy to pay extra to try various styles of Kölsch, because it's a pale ale that is only produced in Cologne. Tip: Consider paying for the optional extra tours. Memories of dining in a local home, exclusive wine tastings or a scenic drive along the Romantic Road can be priceless. 17. You’ll take amazing photos. Cruising means you will have many opportunities to take photos of ancient castles, famous monuments, pretty countrysides, and charming villages along the river. 18. There’s no nickel-and-diming on the cruise. The all-inclusive nature of river cruises allows you to relax, free from worrying about surprises when you get the final bill. There are no casinos, ever-present photographers, drinks-of-the-day, spa specials, or high-priced excursions. Every ocean cruise we’ve been on began with a hefty charge for “incidentals and gratuities” on our credit card, and then continued with daily sales pitches to buy, buy, buy. Not here. Our experience: We booked and paid for our optional tours and the spirits package ahead of time. Again, there were no surprises at the end of the cruise. 19. Kids are a rarity. With their focus on itineraries, food and culture rather than on-board entertainment and heavy partying, river cruises rarely appeal to kids and 20-somethings. Most river cruise companies market to people in the age group that prefers history and culture to running around drunk and half-naked. Our experience: There were plenty of happy middle-aged passengers on our cruise. We suspect the demographic is dropping on the newer, more contemporary vessels. 20. The staff to passenger ratio is fab. Because of the limited number of passengers on board, you'll also become quickly acquainted with the friendly, helpful, knowledgeable crew. They all speak English and many are from the countries you'll be visiting. Our experience: Our waiters quickly learned our preferences. 21. You can try local foods and wines. Speaking of local experiences, your menu will include local dishes as well as predictable standards. For instance, you may dine on goulash while in Budapest or have the chance to enjoy sauerbraten while docked in Germany. From breakfast to dinner's dessert, local cheeses, fruits, wines and beers are a part of the ship's menu. Your chef will harvest herbs from the sundeck and prepare your meal with ingredients he purchased while in port as well, so everything will be incredibly fresh. Our experience: The local breads and pastries were especially hard to resist, and the wines were always a treat for our senses. in other words, walking is your waistline's friend. 22. You’re not stuck with European rivers. Ocean cruises may have days “at sea” but there are never any “on river” days here. Every day you will find yourself in at least one new port and everyone will take advantage of the included guided tours before they seize the opportunity to head out on their own to explore. As popular as those Rhine and Danube cruises may be, that's just the tip of the proverbial iceberg. (No Titanic-sized icebergs here, yay!) When it comes to river cruising there are plenty of places you can see and go, beginning with a remarkable assortment of cruises available in France (Bordeaux, anyone?). If Europe is your style you can also cruise all the way from Amsterdam to the Black Sea or see towns on the Volga River as you sail between Moscow and St. Petersburg. If more exotic locations float your boat (sorry, couldn’t resist), don’t despair. Mark Twain may have liked Mississippi river boats, but if India, China, Southeast Asia or Egypt intrigue you more, you’ll find cruises available there as well. Our experience: Cruising on the Nile is an experience not to be missed. Many of the major river cruise lines are investing in new technology to improve operating efficiency, safety and environmental sensitivity. 24. You will hate to leave the ship. Our experience: The only bad moment we had was leaving the ship at end of cruise. Oh Linda, I don’t need any more reasons to go on a river cruise! I almost booked a trip on Viking this spring, but I changed my mind at the very last minute for the train tour in Switzerland. No worries though, the river cruise is at the top of my list. Your cabin was so nice! I’d have a very hard time choosing between a train tour and a river cruise. Which cruise were you going to take? This post is full of good information. Even though a river cruise is an unique experience, I keep comparing it to an ocean cruise because that is my only point of reference. This help me to get away from that mentality. We just returned from our 15-day river cruise; we felt spoiled, indulged and pampered. The intimate atmosphere was quite a contrast to our Adriatic cruise when we were just one couple among thousands on the ship. I enjoy looking through the Viking catalogs but haven’t yet booked a cruise. Everyone I know who has been on a river cruise has raved about it. We’ve been on two, so far. We’d go on a lot more if our budget allowed it. I’ve never felt so pampered. The allure of the river cruise is so tempting, but, like the barge cruises on the Canal du Midi in France, we are afraid that we would feel trapped on board a slow moving boat and miss out. We’ve never been on a barge cruise, so I’m afraid I don’t understand what you miss out on. We sure never felt trapped on the fast-moving Rhine, Main or Danube Rivers; there was plenty to do on board and we had lots of opportunities to go ashore. We just returned from our cruise. Have to say we felt completely indulged. It’s an amazing experience to have nothing to think about but having a good time. I went on a river cruise years ago in Egypt it was fantastic value. However we were not advised about what to tip and where and being Australian it just isn’t in our culture to tip so advice would have been very helpful. One of the hardest things about traveling is knowing how much to tip … or even if it is an accepted part of the culture. In Panama 10% is the customary amount, while in the US it’s 15%-20% which may sound like a lot until you realize that wait staff get paid as little as $2.13 per hour. We really appreciated that Viking had suggested amounts to tip because we really had no clue.